Update your dining chairs with a fresh, black and white dining chairs from OOland and design team Enrique Del Amo and Angel Marti. 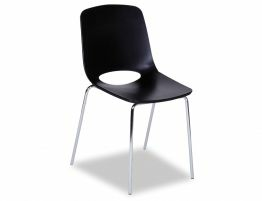 Our contemporary black modern café chair mixes a techno-polymer moulded seat with a steel sled base powder coated white. In black with white legs, this black and white dining chair is bold, contemporary and offers the kind of clean modern minimalism that makes this modern café chair a must have. 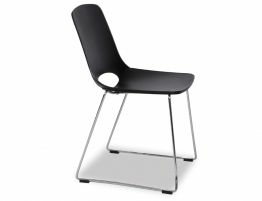 Go bold, go modern with the Wasowsky in black and white. 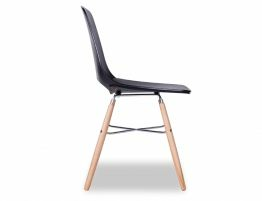 Like the perfect tuxedo, this black and white dining chair has a formal feel that is equally laid back owing to this modern café chair’s modest materials. 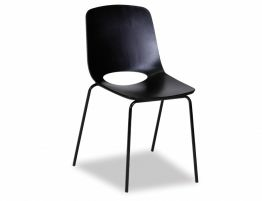 Our black dining chair is great for kitchens, cafes, restaurants and really nearly any wear given how malleable this mod plastic dining chair is. 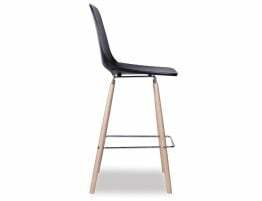 Find an extensive selection of modern café chairs, contemporary dining chairs and everything you need to outfit your modern space in style.